TV measurement continues to rapidly change, but traditional gross ratings points that rely on Nielsen viewers are small enough to create problems for networks without multimillion-viewer bases. Google will try to change that industry standard by providing real-time ad tracking capabilities similar to the systems it designed for online advertisements. The company is running trials in Kansas City, Kansas, and Missouri, with Google Fiber TV subscribers. These ads will be shown during existing ad breaks, along with national ads, on live TV and DVR-recorded programs in real-time. "Fiber TV ads will be digitally delivered in real time and can be matched based on geography, the type of program being shown (eg, sports or news), or viewing history," per Google. Viewers can opt out of seeing ads that are based on viewing history from the Fiber TV settings. Similar to digital ads on the Internet, local businesses in Kansas City running ads across Google Fiber will only pay for ads that have been shown and can limit the number of times an ad is aired on a given TV. As brands gain more real-time data for advertisements, consumers in Kansas City complain about poor search feature. "I've had fiber TV since last summer, and I've chatted to tech support a few times about how the search needs serious work. 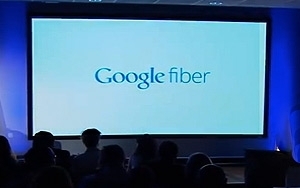 It doesn't appear that anything has been fixed," Shawn P writes on the Google Fiber forum. Shawn P admits that Google responded with a couple of emails suggesting the feature was fixed, but as of last month, a search for "All Star" to find the NBA All-Star game resulted in "100,000 Cameras," while the second choice is "2013 NBA Finals" and the third is "2013 Pro Bowl."